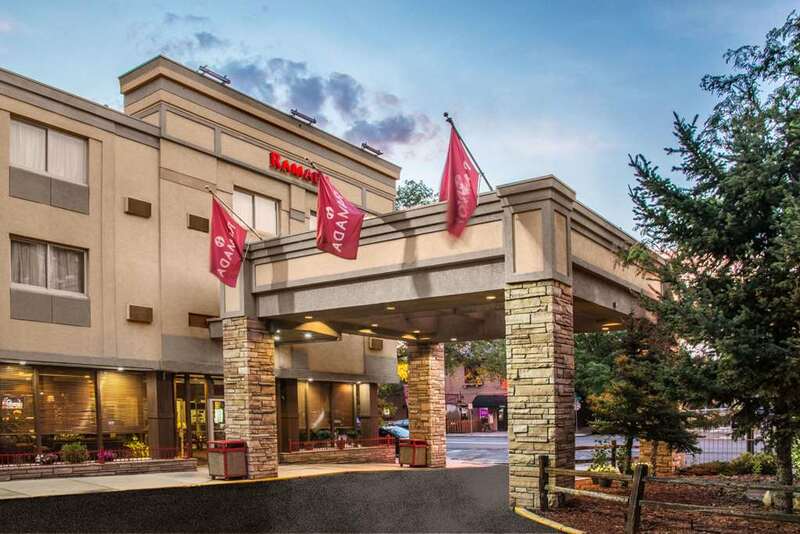 Conveniently located in historic Capitol Hill district, this Ramada Denver Downtown hotel is near live concerts at the Fillmore Auditorium, the State Capitol building, Sports Authority Field at Mile High, Denver Zoo, and Denver International Airport. After an exciting day, refresh at this hotel with complimentary wireless Internet access, outdoor pool, fitness center, local shuttle service - available for a nominal fee, meeting and banquet space, and business center. Parking is available for a nominal fee on a first come first serve basis with limited availability. Enjoy a meal at Ahuevo, our onsite restaurant. Guest room amenities include microwave, refrigerator, coffee-maker, and complimentary newspaper. Suites, smoke-free and handicapped-accessible rooms are also available. There is no charge for children 17 and under with an adult. Pets are welcome at this hotel.